Miraculous, amazing, breathtaking, majestic. 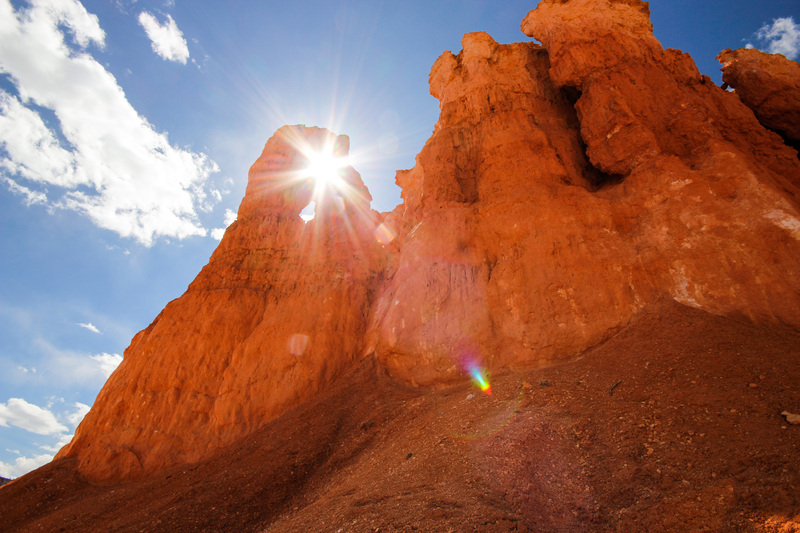 Only synonyms for awe-inspiring can describe the beauty of Bryce Canyon National Park. Surrounded by Hoodoos, old shaped rock pillars left standing after years and years of erosion, I hiked down into this mystifying landscape. My photos hardly even capture this adventurer’s paradise. With only a half day to explore, I hiked down the Navajo Trail, which starts at Sunset Point on the Rim of the Hoodoo Amphitheater, down through a partial slot canyon to a Douglas-fir forest below. From the bottom, I created a loop over to Queens Garden to see a unique formation that some say look like Queen Victoria before taking the short spur hike back up to Sunrise Point at the rim. 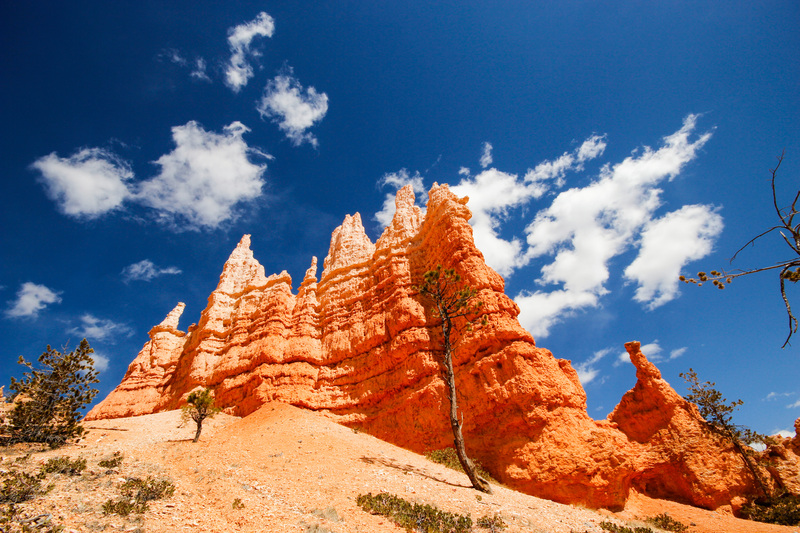 The Hoodoos and clouds above transformed the landscape around each corner going from light to dark and back again. In many places wind and rain eroded the rock forming arches and bridges. While wandering around, it was hard to decide if the view from the top or bottom was more impressive! 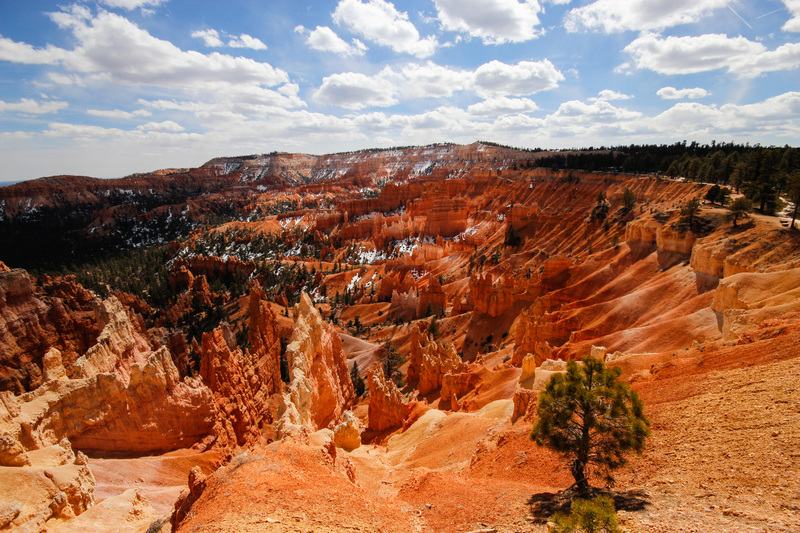 After hiking for a while in the canyon, I drove up to the upper viewpoint to take in the expanse of the hoodoo forest. I visited before the National Park open for its summer season, so many of the trails were still quiet and peaceful. Even a little bit of snow clung to the cool, shady spots. I can’t wait to return to this National Park. Next time though I’m going to give myself a few days instead of only a few hours! 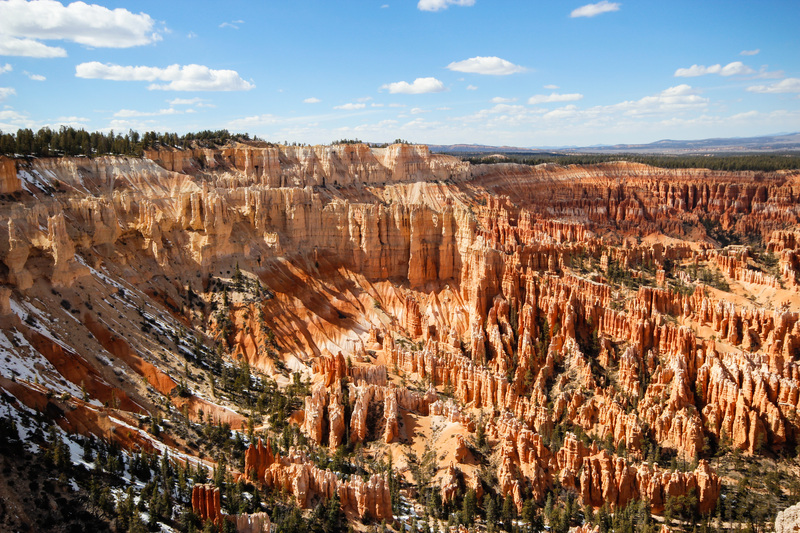 Have you ever been to this geological wander? Great pics! 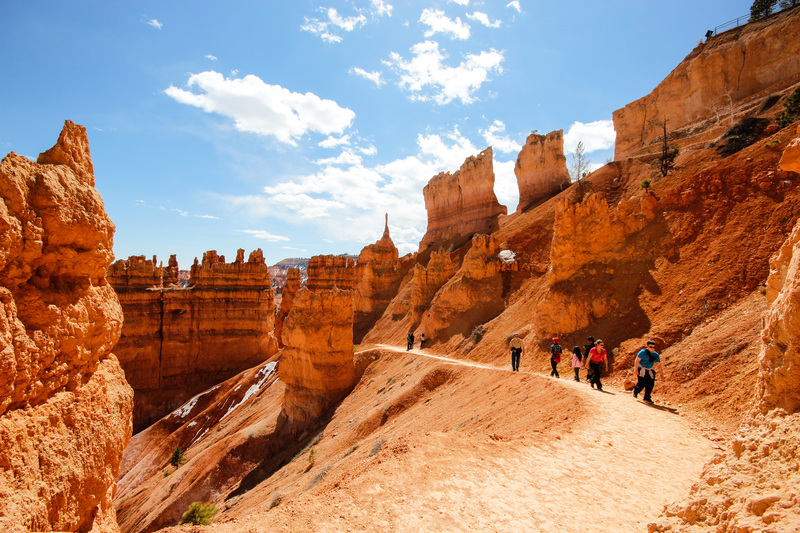 I need to get out to Utah sometime. I totally enjoyed your pictures of this majestic park! It’s my favorite in all of the national parks system. Now I feel I have to get there before too much longer!